Dr Adil Safdar would describe himself as a proud Glaswegian who graduated at the University of Glasgow, Scotland with a Bachelors in Dental Surgery. During his training he treated patients from various parts of Scotland gaining vast amounts of experience. Adil successfully completed his Vocational Training in Kilmarnock, which gave him strong insight and knowledge of both NHS and Private treatment modalities. 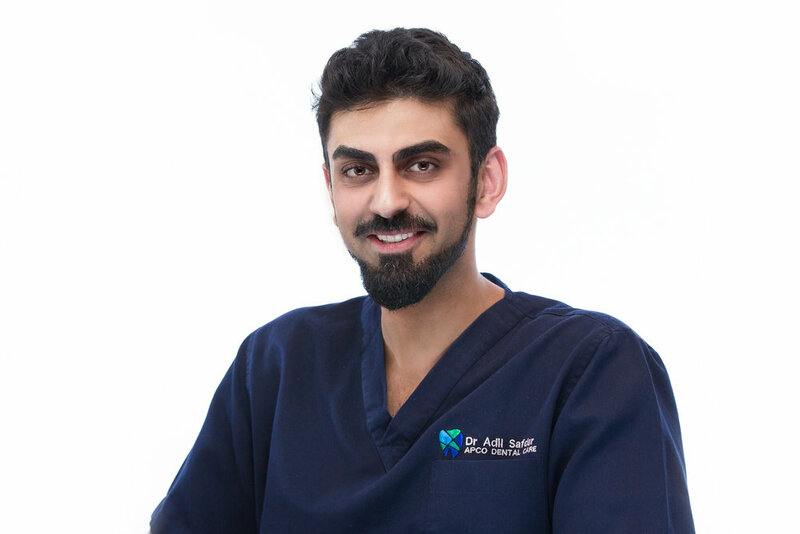 Adil can effectively perform a wide range of treatments including Short Term Orthodontics to straighten teeth. He is continually looking to expand his skills and is currently training to place Dental Implants, which he will be able to offer at APCO Dental Care by mid 2015. Outside of Dentistry Adil is a keen footballer. He also enjoys his trips around the world and spending time with family.